Doody, Peter K. et al. "Court System of Canada". The Canadian Encyclopedia, 01 March 2019, Historica Canada. https://www.thecanadianencyclopedia.ca/en/article/courts-of-law. Accessed 21 April 2019. Section 101 of the Constitution Act,1867 gives Parliament power to “provide for the Constitution, Maintenance and Organization of a General Court of Appeal for Canada, and for the establishment of any additional Courts for the better Administration of the Laws of Canada.” All of the courts constituted and appointed solely by the federal government owe their existence to this power. 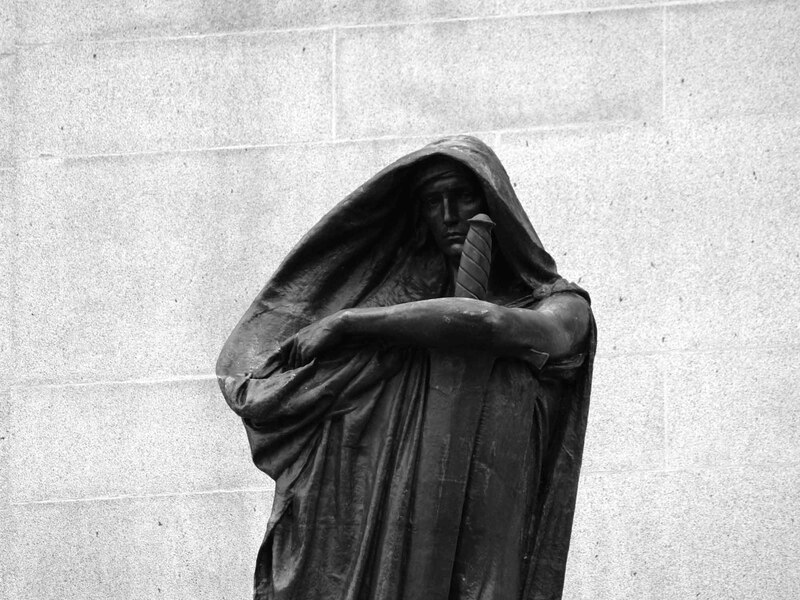 The black cloaked statue of Justice standing in front of the Canadian Supreme Court in Ottawa. The Constitution Act also provides for the establishment, by the provinces, of provincial superior courts of both civil and criminal jurisdiction with judges appointed by the federal government. These courts are charged with administering all laws in force in Canada, whether enacted by Parliament, provincial legislatures or municipalities. This essentially unitary aspect of Canadian courts is fundamental to the Canadian judicial system (see Judiciary). The lower provincial and territorial courts are of inferior jurisdiction and their presiding officers are appointed by the province in which they sit. Finally, all courts in Canada, except those in Quebec, enforce the common law. In Quebec, the source of the civil or noncriminal law is the civil law (see also Civil Code). Supreme Court of Canada The Supreme Court of Canada was established in 1875 by the Supreme Court Act as a general court of appeal for Canada (see Appeal). The court comprises nine justices appointed by the governor-in-council, three of whom must come from Quebec (see Barreau du Québec). According to the Constitution Act, 1982, the composition of the court can only be amended by resolutions of Parliament and each province. An amendment relating to the court in other respects can, however, be effected with a parliamentary resolution passed by the legislatures of two-thirds of the provinces comprising at least 50 per cent of the population of all of the provinces. Changes to the appointment procedure were proposed as part of the Meech Lake Accord (1987) and the Charlottetown Accord (1992), but neither of these proposed changes materialized. 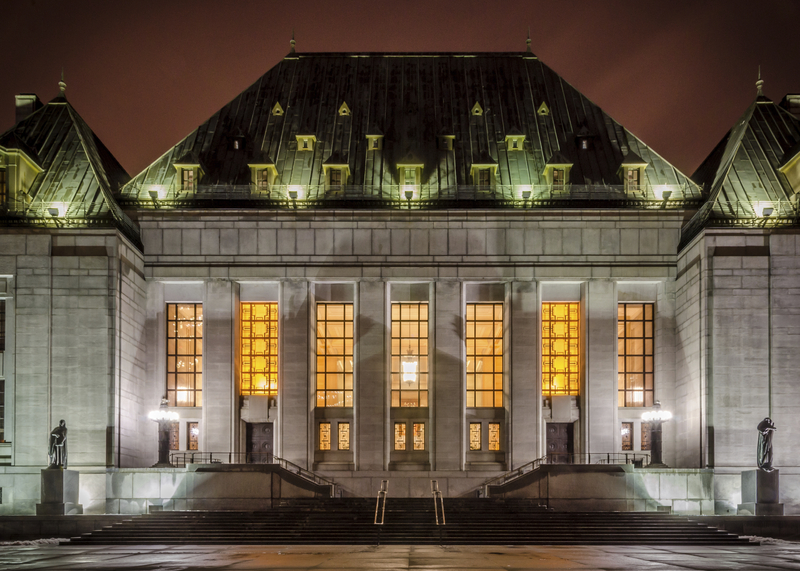 The court has been the ultimate court of appeal for Canada since 1949. Prior to 1949, the final appellate tribunal was the Judicial Committee of the Privy Council in London, England. In 1975, the role and function of the court changed, when the automatic right to appeal to it in civil matters, previously based on a purely monetary criterion (controversy exceeding $10,000), was abolished. Appeals may now only be taken to the Supreme Court with leave (permission) of the Supreme Court or of the lower court whose decision is being challenged. There remains a right of appeal in criminal cases in circumstances where one judge of a provincial court of appeal has dissented on a question of law, where an acquittal of an indictable offence by the trial court has been set aside by the court of appeal, or where the accused has been found not guilty by reason of insanity. In civil matters, the court now only hears cases that, in its opinion or in the opinion of the court of appeal, raise matters of public importance to the country as a whole or involve some important question of law; these include a large number of cases involving the constitutional validity of federal or provincial statutes, the application of the Canadian Charter of Rights and Freedoms, and the authority of government officials and tribunals to make certain decisions. Fewer cases involving purely private law issues are heard by the court. The court must also rule on questions referred to it by the governor-in-council or appeals stemming from questions referred to provincial courts of appeal. These cases, known as references, almost always deal with the constitutional validity of legislation, proposed or existing. References are peculiar to the Canadian legal system. They enable governments to know, expeditiously, whether legislation on which their actions depend is lawful. The Federal Court of Canada was established by Parliament in 1971. Prior to that time, its predecessor, the Exchequer Court of Canada, established by parliamentary statute, existed principally to judge claims by or against the federal government or matters relating to maritime law (see Law of the Sea), copyright, patent and trademark law and federal taxation statutes. The Federal Court of Canada has the same jurisdiction, but also has a supervisory jurisdiction in relation to decisions of tribunals and inferior bodies established by federal law. 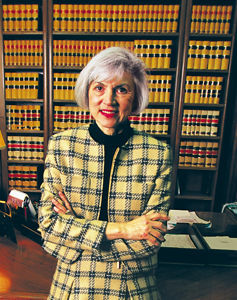 Until 2003, it was divided into a Trial Division and a Court of Appeal, which became separate courts: the Federal Court and the Federal Court of Appeal, respectively. Generally, matters originate in the Federal Court, but some appeals from inferior tribunals and some actions to set aside decisions of inferior tribunals proceed directly to the Federal Court of Appeal. An appeal moves from the Federal Court of Appeal to the Supreme Court of Canada, with leave of either court. The main office of the court is in Ottawa, but it regularly sits throughout Canada according to the circumstances of the action and to suit the convenience of the parties. The Court Martial Appeal Court, established by Parliament under the National Defence Act in 1959, is composed of judges of the Federal Court and provincial superior courts named by the governor-in-council. The Court Martial Appeal Court hears appeals from decisions of the military courts of the Canadian Armed Forces, and its decisions can be appealed to the Supreme Court of Canada in a procedure similar to appeals in ordinary criminal matters (see Military Justice System). The Tax Court of Canada was created by Parliament in 1983 as a continuation of the Tax Review Board. This court hears and determines appeals on matters arising under the various statutes relating to taxation (e.g., the Income Tax Act). Its decisions are subject to review by the Federal Court of Appeal. Because they conduct some judicial and quasi-judicial functions, certain federal administrative boards and tribunals are designated courts of record. These include the Canadian Transportation Agency, the National Energy Board and the Tariff Board. The decisions of such boards and tribunals are subject to review by the Federal Court (see Administrative Tribunals). Each province and territory has a court of appeal; a court that hears appeals from the superior courts and provincial or territorial courts. 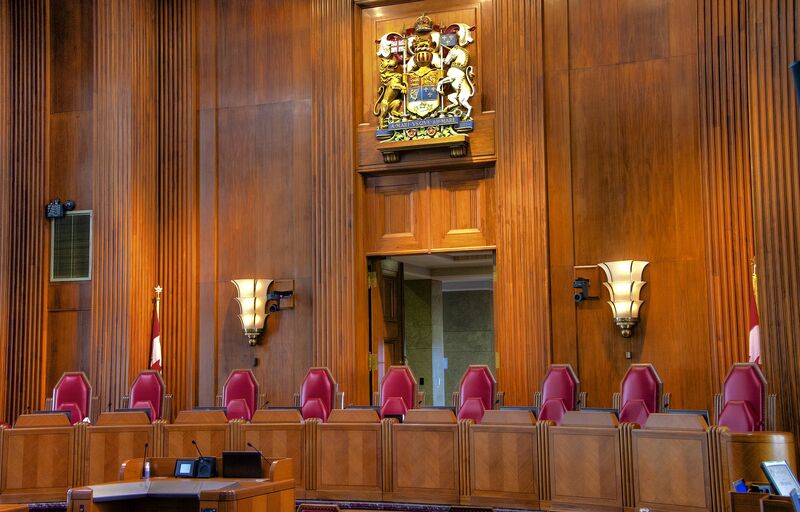 A court of appeal’s decisions can, subject to certain restrictions, be appealed to the Supreme Court of Canada. The appeals heard by courts of appeal can be any decision from a lower provincial court in civil and criminal law, including property disputes, negligence claims, family disputes, bankruptcies and corporate reorganizations. They are usually heard by a panel of three judges. In most provinces, the Court of Appeal has no original jurisdiction; all cases come to it as appeals from lower courts, the principal exception being the reference procedure whereby the provincial Cabinet may refer constitutional questions to the Court of Appeal. Provincial and territorial superior courts can hear and determine any civil cause of action brought before them, except for suits within the exclusive jurisdiction of courts established by Parliament. 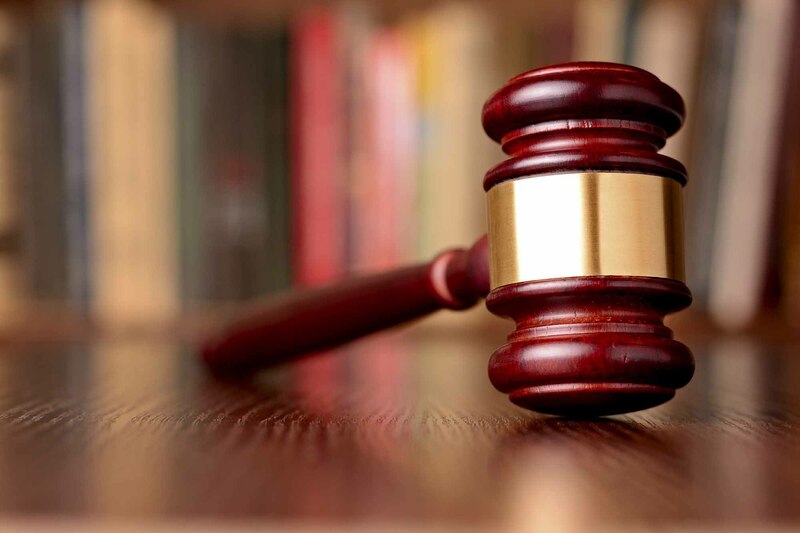 In criminal matters, superior courts have jurisdiction to hear trials of any serious offences and have exclusive jurisdiction to hear cases involving particularly serious crimes, such as murder, treason, sexual assault and piracy (see also Criminal Code). A jury can be demanded by either the prosecution or the accused in every trial of an indictable offence over which the superior court has jurisdiction. Twelve persons comprise juries in criminal cases. The constitution of juries for civil cases is rare. It can be requested by either side when permitted by provincial law, and it is within the discretion of the trial court whether to allow the request. Civil juries have six members. In all trials in which a judge and jury are involved, it is the judge’s duty to determine questions of law and instruct the jury, and it is the jury’s duty to determine the questions of fact. 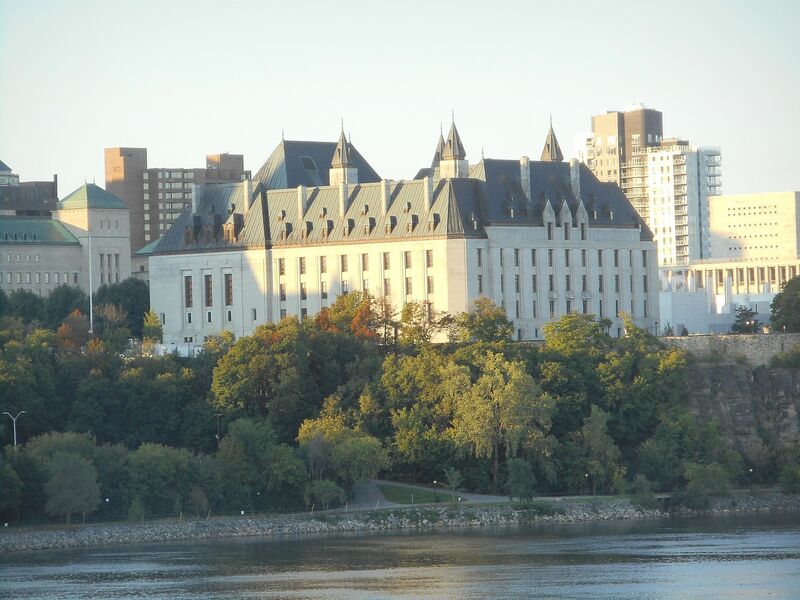 The superior court is referred to as the Court of Queen’s Bench in New Brunswick, Manitoba, Saskatchewan and Alberta. In Newfoundland, Prince Edward Island, Nova Scotia, British Columbia, Yukon and Northwest Territories it is called the Supreme Court of the province or territory. Quebec’s is called the Superior Court of Québec. In Ontario, it is the Superior Court of Justice. Nunavut is unique in Canada in that it has a unified, or “single level” court, the Nunavut Court of Justice. In sharp contrast to other provinces and territories that have separate lower provincial courts and superior courts, Nunavut’s federally appointed judges hear all matters normally assigned to both the lower provincial courts (including youth and small claims courts) and the superior courts. Lesser criminal matters and some civil law cases are heard by provincial and territorial courts. Many provinces and territories have courts staffed by judges appointed by the province to deal with lesser criminal matters, including trials of minor or summary conviction offences, trials of serious (indictable) offences where the accused elects to be so tried, and preliminary inquiries of indictable offences — a procedure whereby the magistrate determines whether there is sufficient evidence against the accused to warrant a trial. In some provinces (Newfoundland, Ontario and Manitoba) the provincial court (criminal division) handles the matters assigned to provincial or territorial court judges under the Criminal Code, while other divisions handle small civil claims and such matters as family law. In Quebec, similar functions are performed by the Court of Québec (formerly, the Court of the Sessions of the Peace), and in some cities, by municipal courts. While divorces and their results fall under the jurisdiction of a superior court, family courts, which are provincially or territorially constituted and appointed, are responsible for custody of and access to children, support obligations and adoption. In most provinces, the family court is part of the provincial court. Manitoba, New Brunswick, Newfoundland and Labrador, Nova Scotia, Ontario, PEI and Saskatchewan have unified family courts, where all aspects of family law are covered. Youth aged 12 to 17 who are charged with offences contrary to federal, provincial or municipal laws appear before a youth court (formerly, a juvenile court; see Juvenile Justice Systems). Any provincial, territorial or superior court level can be designated a youth court. Small claims court is responsible for civil cases involving sums less than a set amount. The set limits vary from province to province — this limit is lowest in Manitoba, at $10,000, and highest in Alberta, where the limit is $50,000. Most provinces have a small claims or civil division of the provincial court to hear these cases. Probate or surrogate courts, established in most provinces and usually presided over by judges of superior courts, adjudicate matters involving estates of deceased persons. Judicial Structure of CanadaHow the Canadian courts are organized. From the Department of Justice.